We are amongst the most reputed names in the industry, offering Gray Nicolls Cricket Bats. NEW FOR 2018! Endorsed by cricketing legends such as Ian Chappel and Clive Lloyd, The Scoop XVII emalgamates an innovative design, which is bound to elevate your game into the future through a full blade sweet spot, with 100 years of cricket rich history to develop a grade one willow with unparalleled performance. 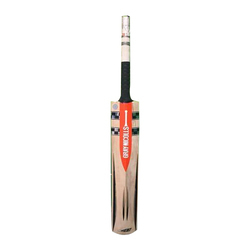 We are engaged in offering Gray Nicolls Shape Cricket Bat. In order to meet excellent quality standards, we are supplying Gray Nicolls Season Bat extra thick extra ton. Our reputed entity is engaged in supplying Gray Nicolls Cricket Bat.